Apple Inc. (AAPL) Will Hike App Store Prices … Because Brexit? According to an email to developers, Apple Inc. (NASDAQ:AAPL) is making plans to raise prices in its U.K. App Store by approximately 25%. The price hike is, apparently, in response to the weakening pound sterling exchange rate, which has been steadily dropping since June’s Brexit vote. This announcement comes on the heels of October’s unilateral 20% price jump for AAPL hardware, including the company’s newest MacBooks, Mac Pro, and the iMac. After the Brexit vote, which occurred last June, the value of the British pound has depreciated approximately 18.5% against the U.S. dollar and is currently on its way to a 31-year low. This devaluation of the pound, together with the U.K.’s 20% VAT rate, has led to price parity between the United States and Britain. In short, that means an app that once cost 99 cents in the U.S. and £0.79 in the U.K. will now cost £0.99. Interestingly, Apple’s price increase is actually higher than the loss of value to the British pound. The question on the minds of many investors’ and analysts’ is: Are the price increases in the Mac and iOS app stores an indication that AAPL management believes the pound may fall further? Or is the Cupertino tech titan taking advantage of the volatile financial situation? According to Forbes, Apple reported that total spending in its App Store was almost $30 billion, which generated more than $20 billion in revenue for developers last year, up more than 49% year over year. 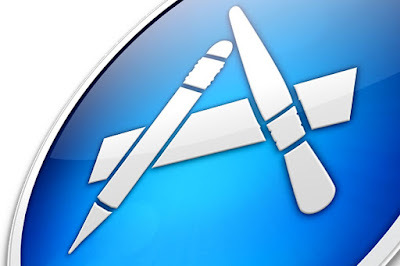 This means the App Store created more than $8.8 billion in revenue for the company. It’s also worth noting that approximately 10% of the $28 billion or so in App Store sales resulted from subscriptions. The assumption among many is that Apple’s modified revenue-sharing agreement with developers, which reduced the revenue share split from 30/70 to 15/85 after one year, was largely responsible for the subscription revenue growth. Additionally, the Apple TV App Store is assumed to have been a contributing factor as well, given that 2016 was the first full year that the platform was open to developers. The bulk of revenue for AAPL’s App Store comes from the U.S. and Japan. However, last year, China surpassed the U.S. as the largest download market for iOS apps in the first quarter, according to App Annie. The meteoric rise of the iPhone in 2015 was followed by sharp declines in iPhone sales in China in 2016. Yet, revenue from the App Store in the China grew faster than in other regions, which is understandable considering the newness of iOS to Chinese consumers. The depreciation of the pound in the U.K., however, took away from otherwise impressive overall revenue figures for the App Store. It shouldn’t come as a surprise, then, that AAPL management has chosen to institute a broad price increase in the U.K. But overall, the Apple Store price hikes won’t likely amount to much more revenue. Instead, they’ll prevent declines. How U.K. iOS users will respond to these price hikes is yet to be seen. More than likely, there will be the expected mumbling and grumbling, but in the end consumers will have no choice but to pay the increased prices for apps. Developers will enjoy additional revenue for the same work. AAPL stock investors, on the other hand, should be rejoicing. Apple’s App Store already was expected to do extremely well this year, given the overwhelmingly positive response on New Year’s Day. So, the results of the Brexit vote on App Store prices, while irritating for iPhone owners, actually is a positive thing for Apple stock holders. In the long run, however, the price hike is minor. Even though 25% is statistically significant, in the real world of apps that cost an average of 99 cents to a few dollars, 25% price increases aren’t really that dramatic. Bottom line: Don’t expect any major negative fallout from this … but maybe a slight bump.